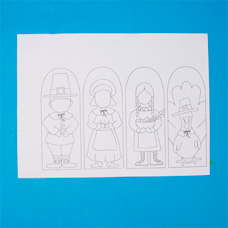 Download our free Thanksgiving printable. 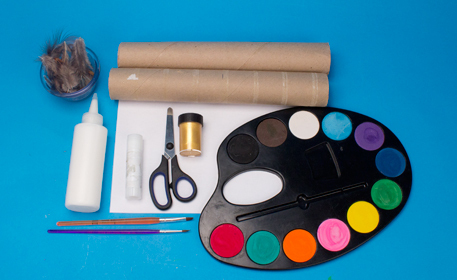 Glue on to recycled cardboard tubes and decorate the table this Thanksgiving. Step 1. Gather your supplies. Download and print the template onto the card stock. To download the template, click the “Template” button above. 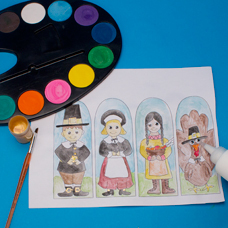 Paint the template using the watercolors and add gold acrylic to accent areas, like the belt buckles on the pilgrims. Finish by painting faces and gluing on wiggle eyes. 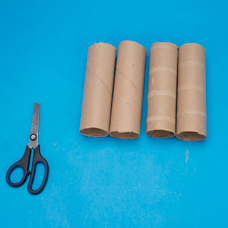 If using the 2 large tubes, cut each one in half. 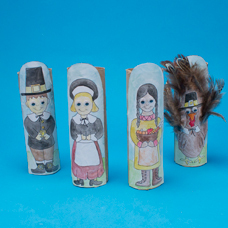 Cut out the people and glue to the tubes. 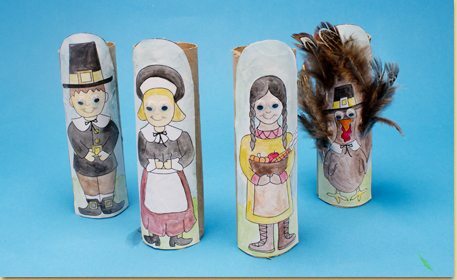 Glue feathers on the turkey and you will be ready to decorate the table for Thanksgiving.